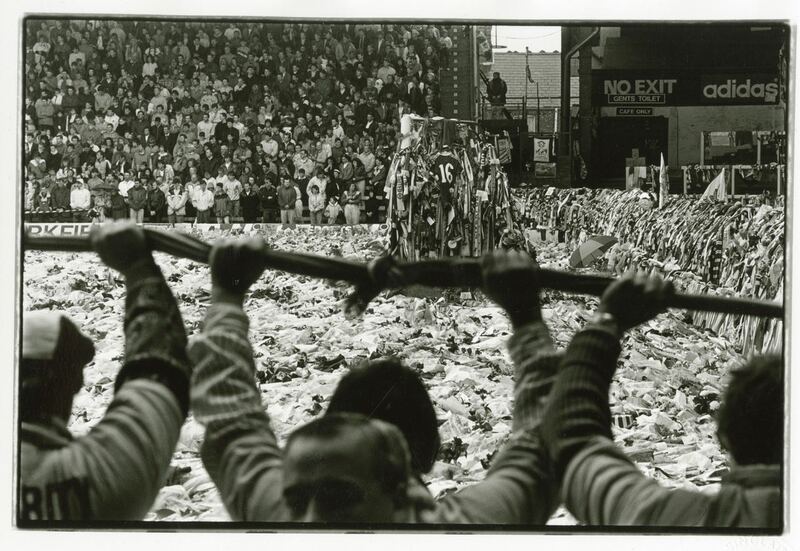 Dave Sinclair’s photographs make it look like a war zone. 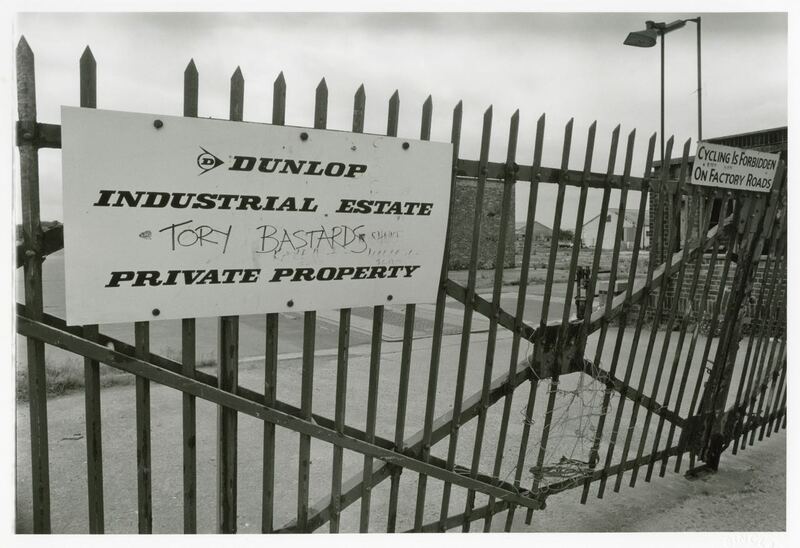 And Dave Sinclair’s photographs tell the truth. 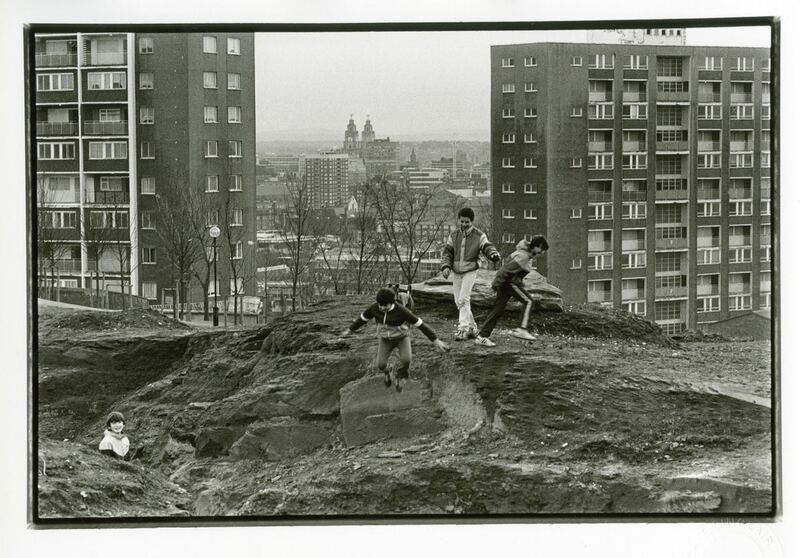 Liverpool in the 1980s felt like the front line of a war zone, a class war where a working class city stood up to a manifestly unfair and provocative Conservative government and fought for its survival. This is a story told from the inside of one of the main organisations involved in the fight. 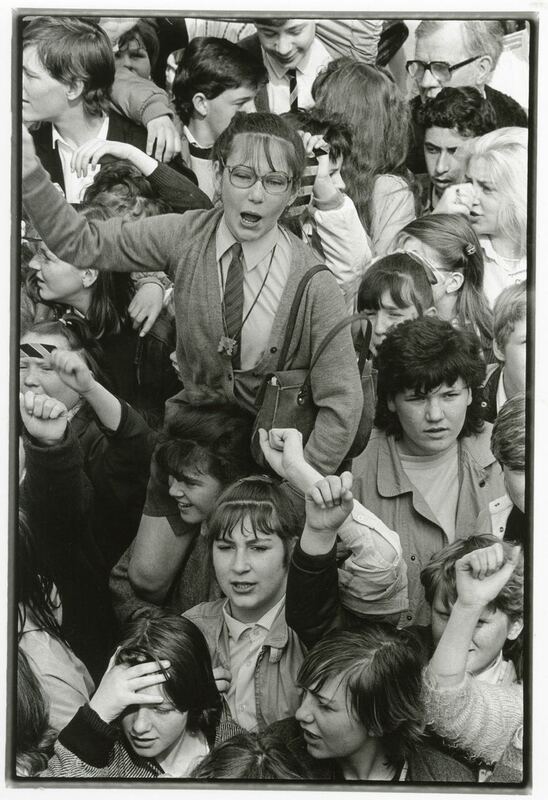 Dave Sinclair was then the official photographer for Militant, the entryist organisation that managed to get hold of the Liverpool Labour Party and so take on Margaret Thatcher’s Tories. I too was a member of the Liverpool Labour Party at the time and so the story the book tells feels very personal to me. Dave and I come from the same place, around County Road in Walton. And many of his pictures are of the Vauxhall and Everton areas, where I’d begun my housing career in the decade before this book. 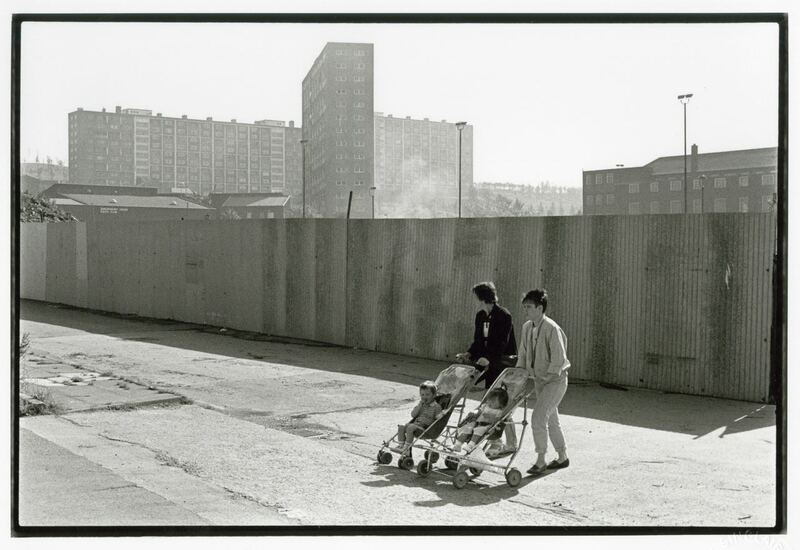 So if you’ve been around this blog for any amount of time you’ve already walked with me around many of these streets where Dave and his camera spent the 1980s. Though terrible in much of what they show I find the photographs extremely beautiful as well as important. 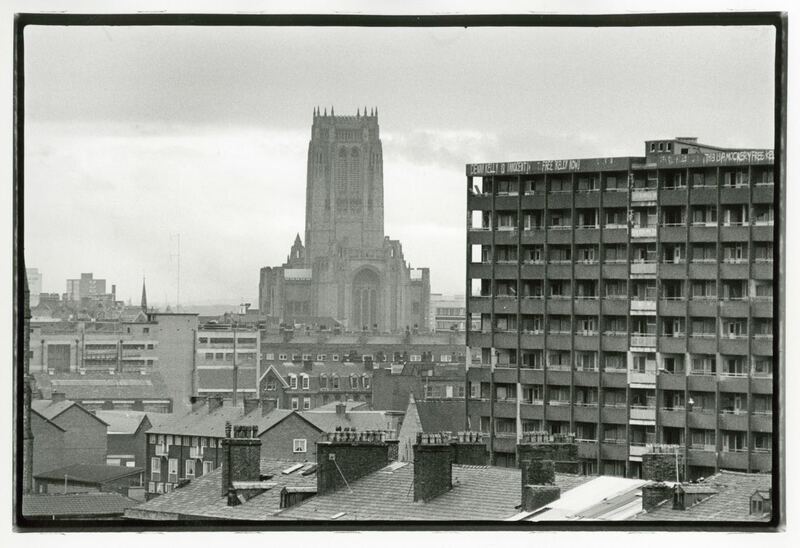 Often showing Liverpool at precise moments of its destruction and rebellion. Some of which I was at, somewhere in the mass of marching Trade Unionists. But I never thought to bring a camera, and even if I had I doubt I’d have matched these. So let’s take a black and white walk round Liverpool in the 1980s with Dave Sinclair, with occasional modern day colour interludes from me. I think this is looking down the hill towards town between Mazzini and Garibaldi Houses (There was a third block in the trio called Cavour). These were off Roscommon Street and I’d walk up to work in the Housing Sub-office in Netherfield Heights several days a week past them. A friend I’d meet a few years later at Liverpool Housing Trust, John Westerside, was growing up in Garibaldi at the time. Where they were. Mazzini Close now. Anglican Cathedral and the Piggeries. 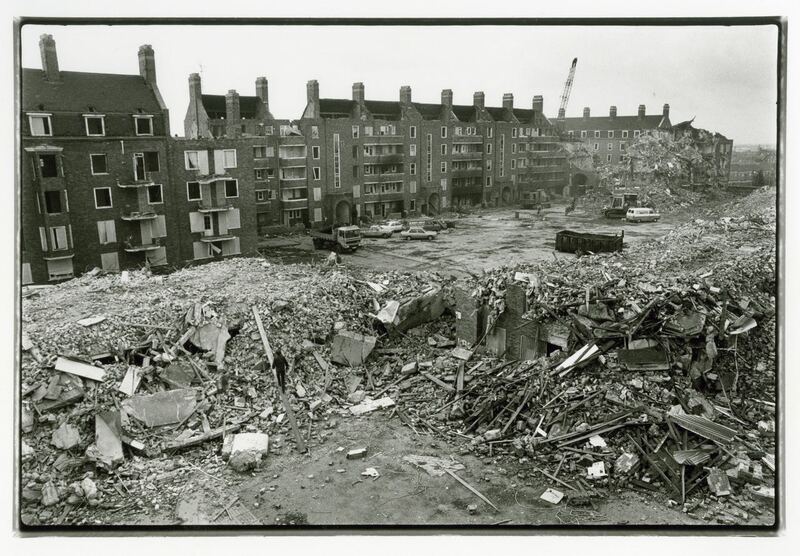 In 1988 the Piggeries were demolished. Barely twenty years old. 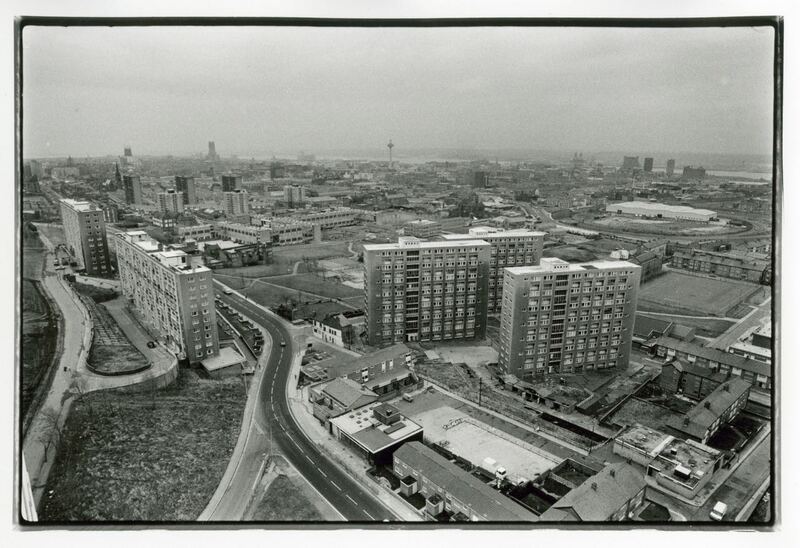 Liverpool from St George’s Heights, Everton. All 3 Piggeries here, Prince Edwin Walk (‘Prinny Eddie’) in the foreground. Where they were. The Piggeries now. 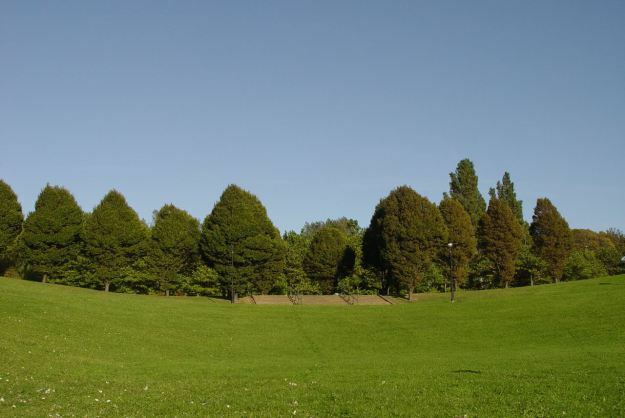 Trees where Haigh Heights stood. 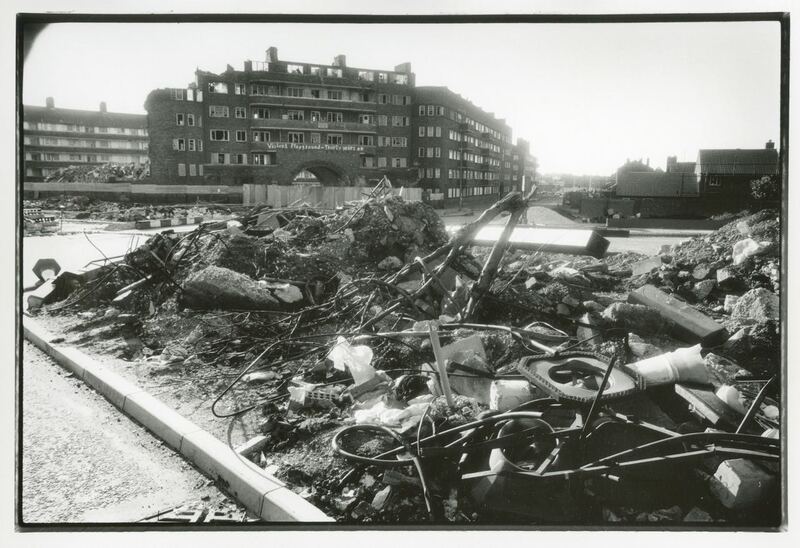 As you can see, a densely populated area has been almost stripped of people since Dave’s 1980s photographs. Again, from the top of St George’s. 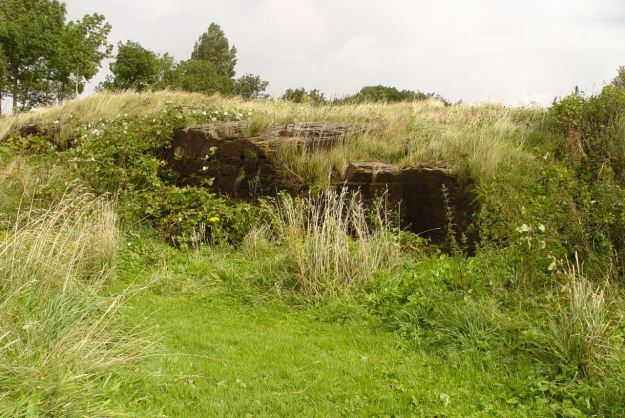 On the left is Netherfield Heights where I worked. How it looks now. The curved bit of rear wall from above. Sarah looking down the hill. From all that remains of Netherfield. Like Dave Sinclair I get my photos of Liverpool by relentlessly walking around, keeping my eye on the place I love. Unlike him I don’t come home and carefully develop them myself. The borders you see on his photos aren’t some Photoshop effect, they’re the real things from Dave coming home and developing the film from his Olympus OM2. Carefully preserved by the publishers and adding, I think, to the sense of the time they were made and the feeling that they were all carefully hand-crafted. In fact, at my request, the publishers have sent me high resolution copies of all the photographs I’m using from the book. So you can see how beautiful they are. 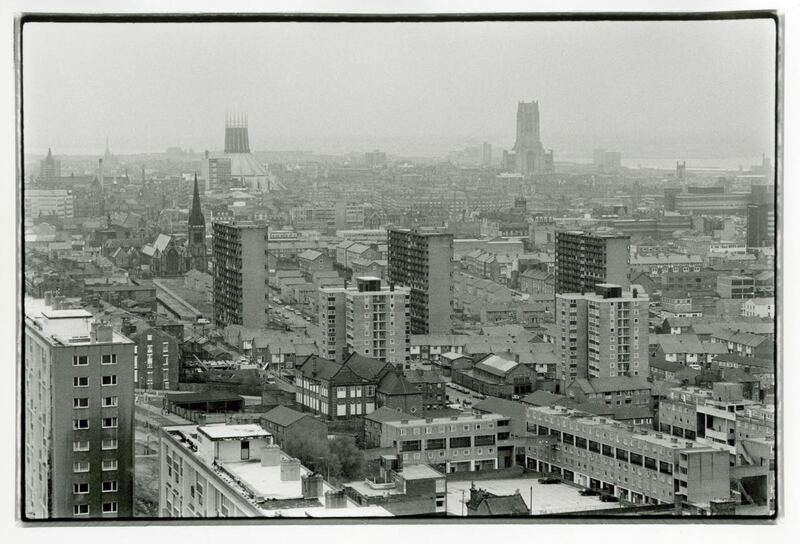 Some of the most beautiful and resonant photographs of Liverpool ever taken by anyone, in my opinion. 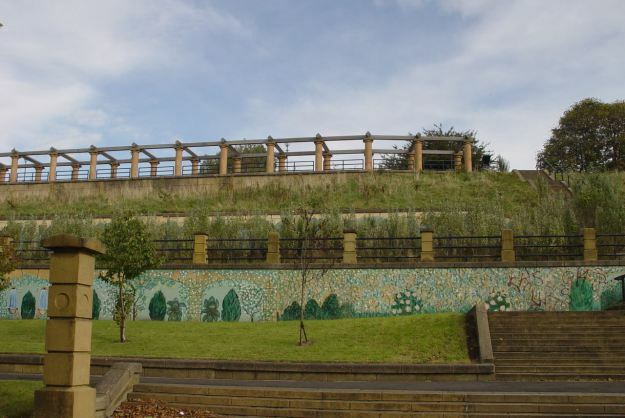 The destruction of Tommy White Gardens. Dave was doing news photography for the Militant newspaper, so was particularly skilled at being there at the moment things came down. It wasn’t just the housing being destroyed. The jobs were too. As the economy was turned towards Europe and Margaret Thatcher’s Tories pursued the ‘managed decline’ of Liverpool after the 1981 riots. We all decided we wouldn’t stand for it. I’m in that picture somewhere. Those days felt like one long demonstration. Against unemployment. Against Thatcher. And in support of the Council. The City Council meet the media. On the front row Tony Byrne, Derek Hatton, Tony Mulhearn and John Hamilton. As a Labour Party member and a Union delegate to the Trades Council I spent so much time with all of these people in those days. And never really got on with the Militant ones, thinking them humourless zealots for the most part. But looking back now I find it hard to disagree with what they all did. It was a class war and they fought for Liverpool as hard as they knew how. If it took the city years to get over the war, well that’s because it was a war. 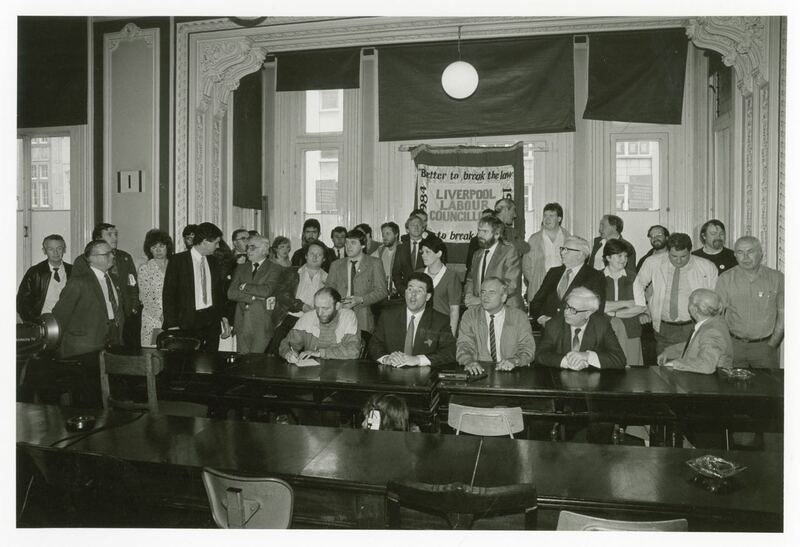 Hello, by the way, to Tony Hood – back row second from right – worked with me at Liverpool Housing Trust and one of the 47 democratically elected Liverpool Councillors eventually made bankrupt by the Tories for refusing to bow down and set their vindictive budget for them. Even the school children were rioting. This is an anti Youth Training Scheme demo. Viewed at the time as a form of conscription. We thought we had the nastiest government we would ever see. How little we knew. And as the 80s ended utter disaster struck in April 1989. Peter Beardsley second from left here, stunned. “A couple of days after the disaster, The Sun’s front page carried the banner headline, ‘The Truth’, and it went on to say that fans had urinated on the dead, stolen from the dead and beaten up policemen who were trying to resuscitate the dead. Kelvin McKenzie was the editor then, and he may or may not have believed the story but I am absolutely positive that he expected his readers to believe it. Think about that. By 1989, the end of the eighties, a huge slice of working-class society, football fans, was held in such contempt that a newspaper editor could expect his readers to believe that hey would piss on, and steal from, the dead. 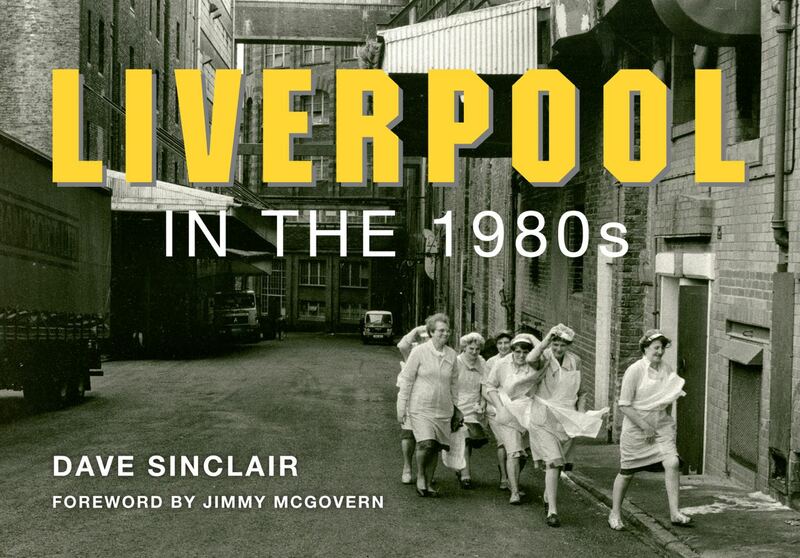 A story beautifully, if sometimes tragically captured by Dave Sinclair in this essential Liverpool book. As you may know, I hardly ever buy books, preferring to borrow them from public libraries as I did this one the other day, the minute the librarian had put the ‘New Books’ out on the shelf. But I do buy books about Liverpool and I will be buying this. It’s part of my own life story. 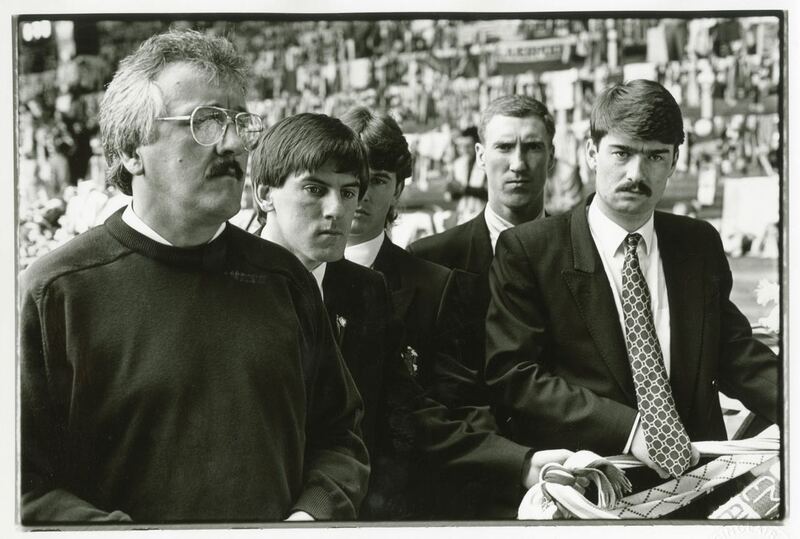 And afterwards, up on the hill at Everton, where Dave spent so much of the 1980s? The Braddocks, paved over foundations. St George’s Heights, just sandstone now. 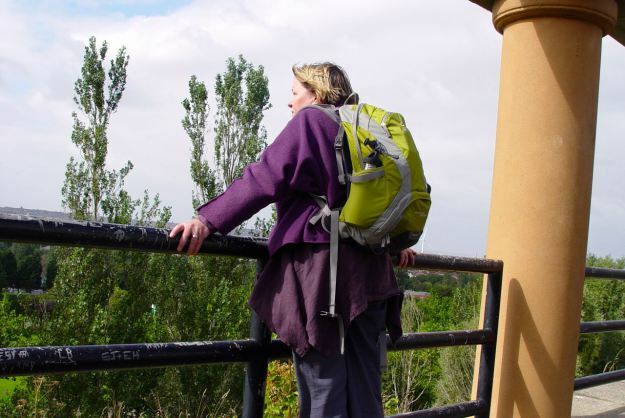 The hill full of tower blocks? Mostly grassed over. Down the hill and across Scotland road to the special spur of the Leeds and Liverpool Canal that served Tate and Lyle. And where the great tenements stood on the edge of the city centre? 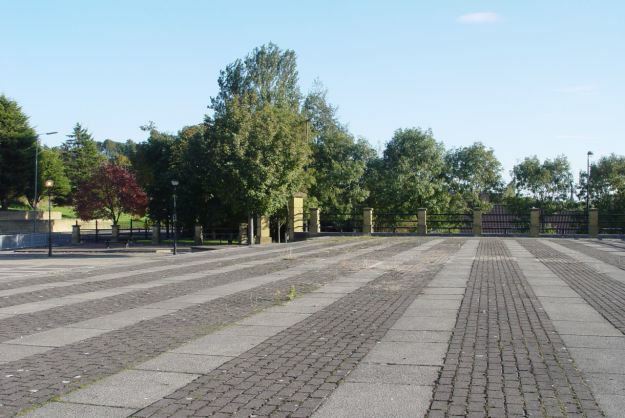 Gerard Gardens, all gone now. Thank you Dave Sinclair. In reminding me of what we lost you’ve reminded me why we fought. You can buy the book from the publishers at the above link. And if you’re around Liverpool, well it’s the sort of book that pretty well demands itself be bought from one of our great independents News from Nowhere or Linghams. Or if you can’t get to them, Amazon. Thanks to Alexandra Sore from the publishers for being so helpful and do please respect the copyright on the photographs. It is a very great privilege to be allowed to feature them on here. I’m staggered at your admission that yourself and other council ‘comrades’ binned our repair requests regarding the Piggeries. 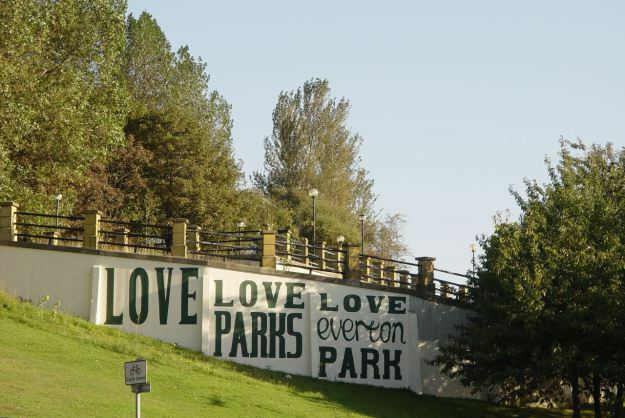 While there was solidarity against Thatcher’s regime who wanted to screw the city, local council employees were screwing the residents of Everton. Rank hypocrisy! For a kick off, this was long before Thatcher. And it was the manager’s instruction – not the ‘comrades’. I for one was 18 years old. I remember those years all too well…and that filth Kinnock and his witch hunts. Yet another class traitor, well rewarded. Wasn’t it Howe who wanted or suggested a managed decline and in turn Thatcher sent Heseltine up here? Yes, the cabinet papers when released show that. But it wasn’t just the government was expecting planned or managed decline and it wasn’t a secret. 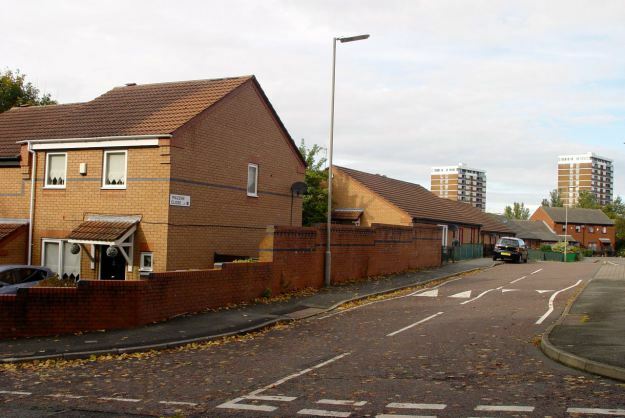 As I was starting work in Liverpool Housing Trust in the mid 1970s there was already much talk of it, as Liverpool’s inevitable future now Britain was entering the Common Market and Liverpool was facing the ‘wrong’ way. I was outraged at the bland acceptance people were showing. As were many others – in the end. Ridiculous propaganda from a former resident of a city full of angry, violent, “chip on the shoulder” millitants who systematically turned their own environments into “no-go” areas and slums, and blamed the government. Two words … Get Real. Fortunately, we’re now 3 decades on and most of them have either retired, or decided to “pipe down” significantly, and the city has changed a great deal for the better. 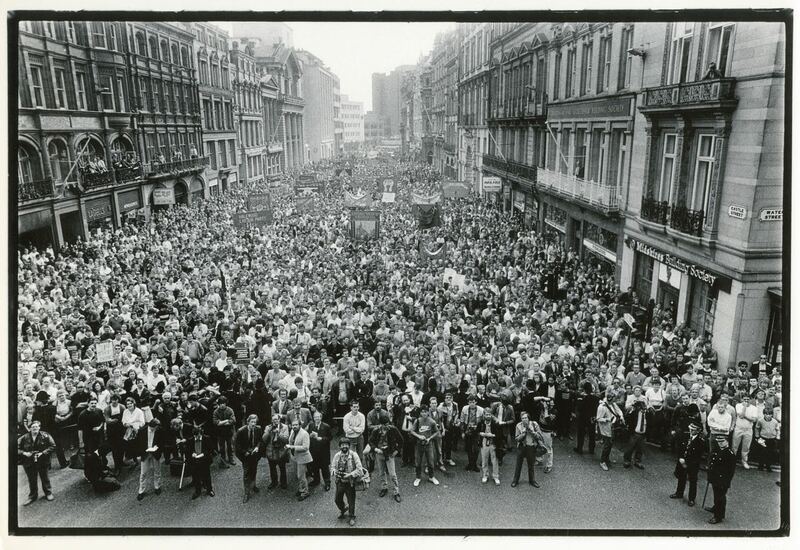 Liiverpool’s decline started several years before Thatcher arrived. 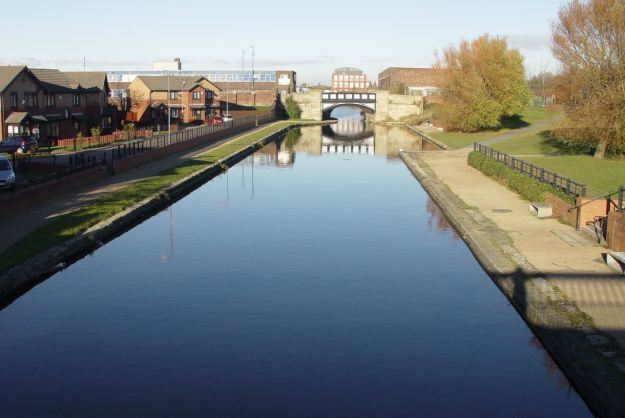 The decision to join the EU saw trade decline through the docks, merchant shipping went into decline as well, and industries linked to the port like tobacco and sugar refining shed workers. 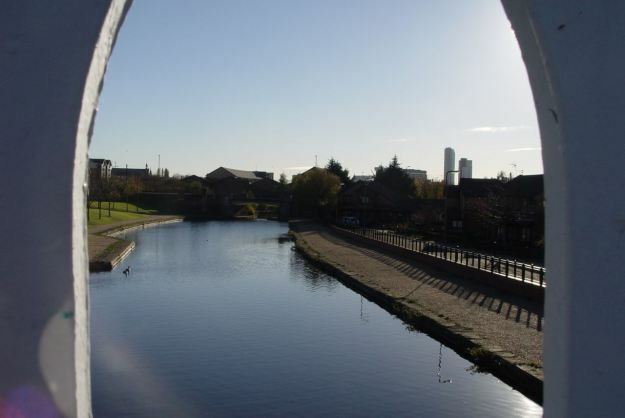 By 1979 over 11 per cent of the workforce was unemployed, one of the worst figures in the country, and Liverpool seemed to be in deep decline with a falling population and an inner city that was becoming abandoned. However, a second severe recession in 1980-81 saw Liverpool go even further backwards, with unemployment doubling, riots in Toxteth and 50,000 jobs lost. 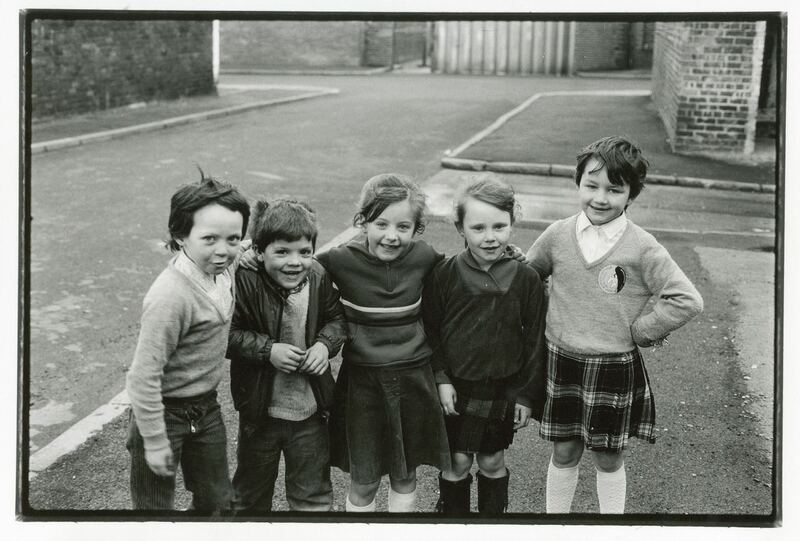 As an outsider, Liverpool became known for unemployment and dramas like Boys From The Blackstuff about unemployment and despair. It wasn’t really until about 1987 when The Albert Dock was redeveloped and the city decided to promote tourism that any sort of revival took place in Liverpool and not until the mid nineties that the city started to revive and the population recover again. Those who really wanted “to create chaos in Liverpool and suffering for its people” were the Tory government – the leader of the Merseyside Task Force is even reported to have said that “there’ll be rats eating babies on the streets before we do anything to help Liverpool” – and the traitorous scabs in Labour Party-controlled authorities elsewhere who urged Baker not “to accommodate Liverpool’s demands”. The threat of a good example is the reason they opposed Liverpool in the 1980s, as Baker’s comments above make clear. A strange time, we were in west Cumbria, but there were and are,a fair number of Liverpool fans up here, who said how desperate parts of the city looked in the late seventies and early eighties. 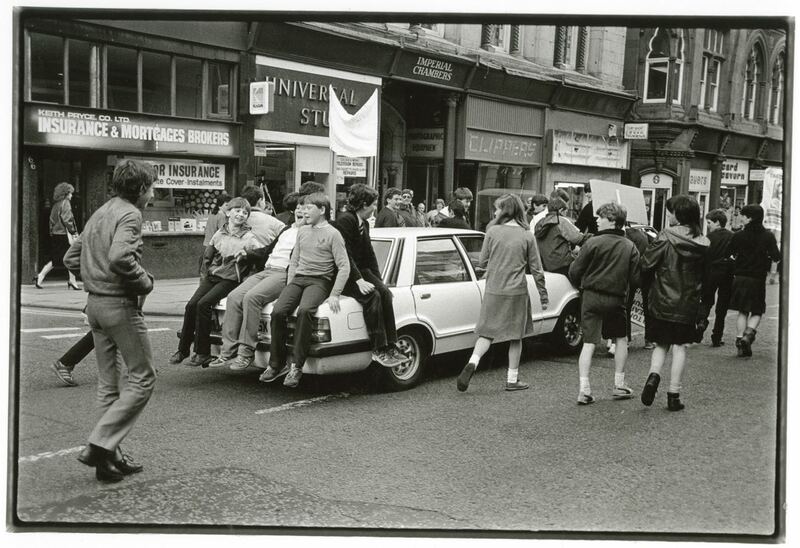 I’m glad Liverpool has reinvented itself in the last 30 years and the photos on this blog serve as a reminder of how far the city has come. Thank you Glen. I do remember how grim it was then. Still a lot to do though. Which is why me and my business partner Jayne have now Set up Coming Home Liverpool to turn Liverpool’s large number of empty houses back into homes. Hello, Ronnie, it’s interesting that Liverpool used the same method in the eighties as it did in the thirties to create work, build council estates and improve housing. 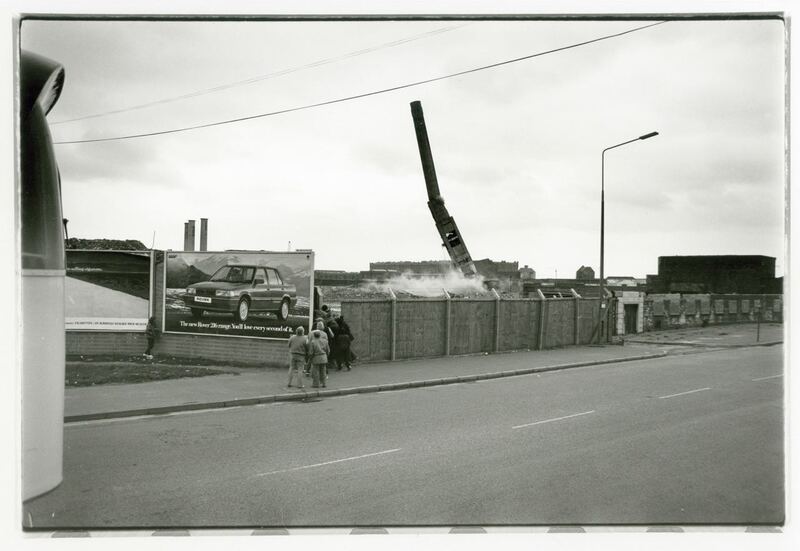 It’s ironic in one of the photos a thirties block of flats being demolished and possibly being replaced by eighties council houses. 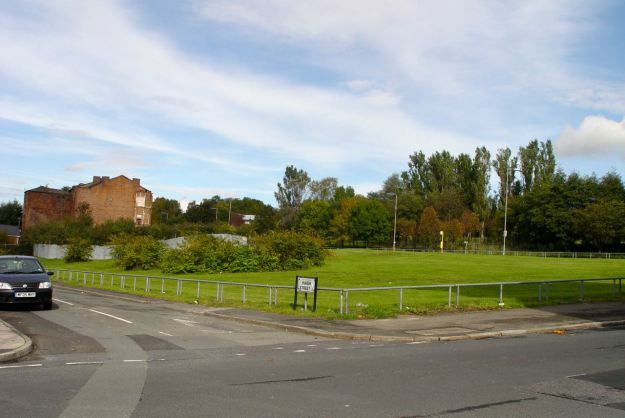 Actually I’m interested in the Lancelot Keays era of Liverpool as he did much to replace the truly awful housing in the north of the city in the twenties and thirties and developed a ring road system, where the city’s suburbia sprung up around.